Azealia Banks has debuted a new song, ‘Liquorice’, online. Scroll down to listen to it. The track sees the rapper rhyming over Lone’s 2010 track ‘Pineapple Crush’. The much hyped new artist posted the song on her Tumblr along with its lyrics. Azealia Banks was among the acts named in the BBC‘s annual list of artists tipped to break through in the following year. She features in the BBC Sound of 2012 Longlist along with the likes of Niki & The Dove, Spector, Flux Pavillion and Jamie N Commons. 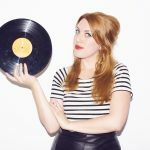 She is currently working with UK producer Paul Epworth on new material and plays alongside Two Door Cinema Club, Metronomy and Tribes on the NME Awards Tour 2012, which takes place in February.